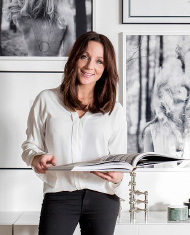 Last issue of Trendensers iPad-magazine. At least for a while. 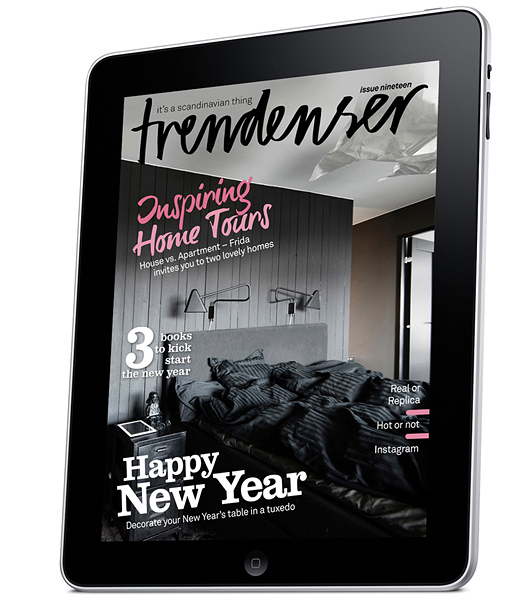 There is a fresh issue of Trendensers iPad magazine waiting to be downloaded in AppStore. And you know what? This will be the last one. At least for now. After a tough fall with lot's of hard work juggling a part-time parental leave with part time freelance dutys I have realized that I don't have time enough to do everything I want to do, with a great result. Therefore, I've had to prioritize for the upcoming 2014. And although the iPad project has been a great fone with over 70,000 downloaded apps, several "highlights of the month" in iTunes, loyal advertisers such as Orrefors, IKEA and Ellos, and last but not least the honouring award "App of the Year in Newsstand 2012 "thet we recieved from Apple - the equation has not gone down and I decided to take a break with the digital mag. instead I will do my best to translate my regular posts, on a daily basis - for you english speaking followers. I hope you'll like it. And that you will continue to follow me here on Trendenser.com Please let me know what you think about it!